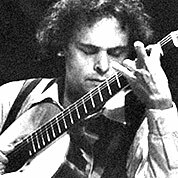 Dyens is a French/Tunisian classical guitarist, composer, and arranger. He studied guitar with the Spanish classical guitarist Alberto Ponce and analysis with Désiré Dondeyne. As a performer, Dyens is known for his extraordinary capacity for improvisation. Essentially unique among classical guitarists. His guitar music draws on many elements of folk music and jazz, and has become popular with players.